If your horse bucks when you ask for canter, it could be a sign that something's not quite right. Here, equine behaviour consultant, Justine Harrison, advises a reader whose horse bucks when asked to canter. The horse in question has already had his teeth and saddle checked, but the bucking is still a problem. Getting to the root cause of why horses buck when ridden can be tricky. There could be a number of reasons - he may have an undiagnosed physical problem, he might have learned to do this when he was backed, or he could be anticipating pain or discomfort from a previously ill-fitting saddle or unbalanced rider. I'd recommend you stop riding. There's a risk that this behaviour could escalate and he could become more dangerous. Ask your vet to give him a thorough physical check-up. Explain to the vet exactly what he's doing, so that they can assess where any potential problem may be. For example, does he buck when you give a specific leg aid into canter? Or does it happen when your balance is shifted in the saddle? 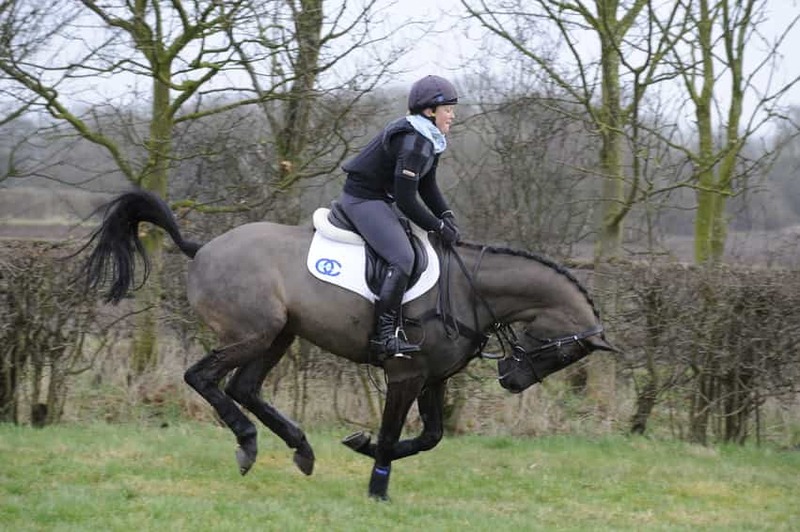 If the vet gives him the all clear, you'll need to carefully retrain his canter transition. I'd recommend asking a qualified behaviourist to help you with this as the retraining process needs to be approached sympathetically and systematically. Take it slowly - I'd start by retraining his canter on the lunge and getting good transitions to a voice command before a rider gets back on.